New Delhi : A Metro train on a new line, to be inaugurated by Prime Minister Narendra Modi next week, hit a wall here on Tuesday evening during trials, a Delhi Metro official said. No one was injured. 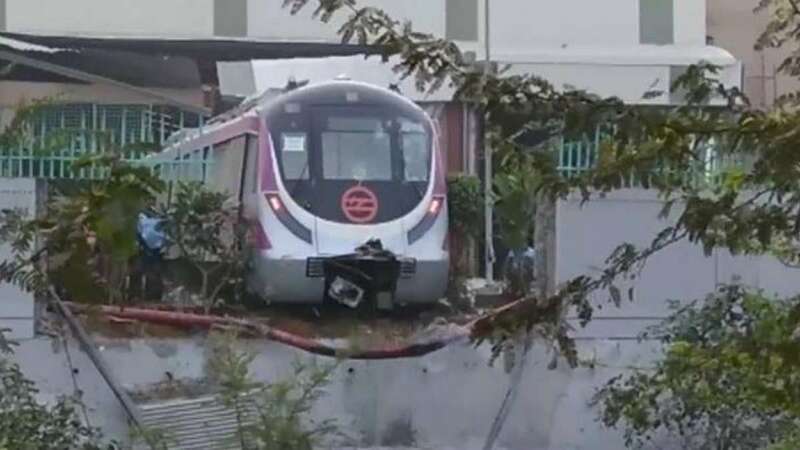 The driverless Metro hit a wall inside the depot in Kalkaji Metro station around 4 p.m., a Delhi Metro Rail Corporation official told IANS, adding that no one was injured. The Delhi Metro's Magenta line, which is scheduled to be inaugurated on December 25 by the Prime Minister, connects Botanical Garden in Noida and Kalkaji in south Delhi. The official said that they were investigating the cause of the accident.